Traveling en masse from the U.S. and Canada and settling in populations estimated at 20 million to 25 million per acre when they arrive in their traditional winter home in Mexico, monarch butterflies present a unique spectacle in nature. 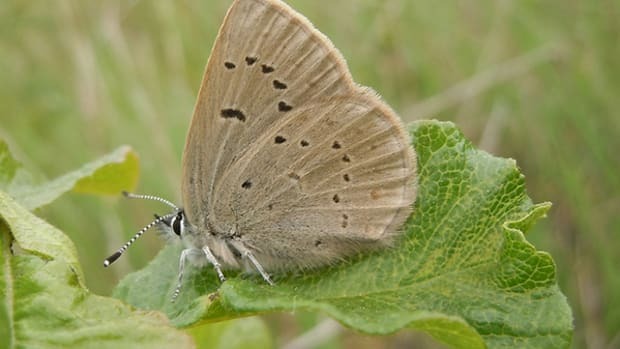 But it&apos;s an amazing seasonal migration that is jeopardized by environmental conditions at both destinations, and researchers warn that the process could disappear, possibly affecting pollination and food chains in both regions. The butterflies&apos; story begins in Mexico, where they cling to foliage of the tropical forests, clustering in swarms, shaping themselves into colorful living sculptures. Occasionally a few flutter off to sip nectar from forest flowers while the rest sustain themselves through the winter on fat stored in their abdomens. As spring approaches, the entire population rouses to fly north. They spread out over the United States and Canada, exciting the curiosity of schoolchildren and scientists alike. Along the flight path north, they mate, lay their eggs in stands of milkweed in the southern United States and fold their wings one last time. The progeny of these migratory butterflies emerge as caterpillars in a new home. Giving no thought to the winter habitations of their forebearers, and more sedentary in their ways, they live their entire life cycle in the temperate zones where they hatched. Over the summer months, two or three generations follow, munching on milkweed as caterpillars, encapsulating themselves within a chrysalis to metamorphose into butterflies and after a life span of a scant three to four weeks, seeking mates in the warm sun. Then, they too, lay their eggs upon stands of milkweed. 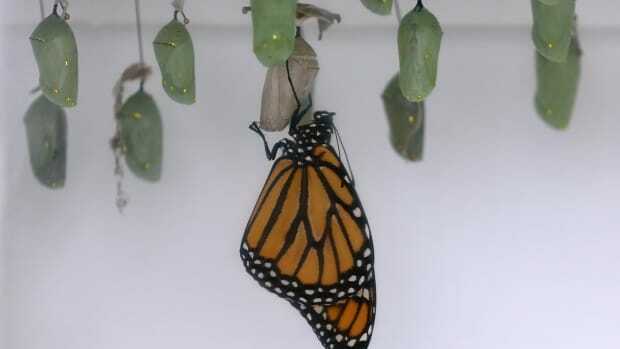 In late summer, however, a final generation of monarchs emerges from the chrysalis, and suddenly, with a life expectancy extended to nine months, they are overtaken by a mysterious impulse to fly — in a straight line, and on a heading to a place they have never been — the precise wintering grounds of their ancestors. Setting out from Halifax to the Rockies, from Georgia to Colorado, they converge by the hundreds of millions on a single 200-square-mile region in the Transvolcanic Mountains west of Mexico City. There they hunker down in the trees to face the winter. With the approach of spring, they rouse and the ageless cycle begins anew. "There&apos;s nothing else like it on the planet," said Chip Taylor, a University of Kansas professor of biology. But he added that without urgent action, this dramatic spectacle of nature could soon be extinguished with unknown consequences. "There are hundreds of plants in the environment, and we don&apos;t know how many of them monarchs serve as important pollinators," Taylor said. "We don&apos;t know how monarchs serve as food for lots of other organisms. These food web relationships are too complex to assess easily and it&apos;s impossible to put a dollar value on it." Neither is it the best way to view the monarch, he added. "The value we place on monarchs has to be both an aesthetic value and a value in terms of an appreciation for natural phenomena." In 2002, researcher say, storms in the winter homes killed millions of monarchs. Taylor said the degradation of the forest cover, which usually provides them with shelter, may have contributed to the magnitude of the disaster. And Taylor said there is evidence that the number of butterflies in subsequent migrations has begun to slide. "The three lowest populations we&apos;ve seen have been since 2000," he said. "Habitat loss is the big threat facing the monarchs." Though he said human residents and monarchs have long coexisted in the overwintering sites, population pressures and conditions of extreme poverty have compelled Mexican farmers to engage more intensive land-use patterns than traditional lifestyles demanded. Further, he says a skyrocketing market for Mexican timber is driving logging operations, some of them illegal, into forest areas, including those formally set aside by the Mexican government as monarch preserve. Loggers arrive in darkness, Taylor said, "sometimes with over 100 trucks and the capacity to clear-cut an area of up to nine hectares (22 acres) in a single night." By the time these activities can be detected or reported to authorities, the damage has been done. Taylor said, local residents, driven by poverty, sometimes participate in the cutting, while those who may object lack the manpower or vehicles to patrol the entire area under their stewardship. But, he said, the United States would not be blameless: "We&apos;re losing 6,000 acres a day to development. We&apos;re consuming what would be natural wildlife habitat every day at a rate of about 2.2 million acres a year." In 1992, Taylor established Monarch Watch, a nonprofit organization to study the monarch and to protect and restore their habitat. While promoting educational activities and butterfly tagging and tracking projects, Monarch Watch also distributes milkweed seedlings to enthusiasts in the U.S. In spite of these efforts, Taylor said, "Over the 15 years since Monarch Watch began we&apos;ve lost an area of potential habitat equivalent to the size of the state of Illinois." In addition, Taylor said the extensive use of pesticides and herbicides in farming have had a widespread detrimental effect on monarch habitat. Nonetheless, he believes that the monarch and its epic migration can be preserved. Along with ecologists and researchers he has proposed a set of proposals to marshal the resources of three countries to achieve this end. Addressed to United States, Canada and Mexico, these recommendations include measures to control illegal logging. The proposals also call for programs to promote sustainable livelihoods for families in Mexico. The United States and Canada are called upon to practice better stewardship at home while supporting community level forest stewardship initiatives in Mexico. Karen Oberhauser, a University of Minnesota professor and founder of Monarchs in the Classroom, collaborated in the development of these proposals and has begun to share these recommendations with forestry officials in the U.S. and Canada. "It&apos;s an exciting process," she said, and the level of interest she sees is encouraging. "The butterflies are bringing us together across language, cultural and social barriers," she added. This is good, Oberhauser said, because she believes protecting the monarch will also help protect forested watersheds, especially in Mexico, ensuring sustainable water sources and a more comfortable life for rural families. "If we save the monarchs we&apos;ll save a whole lot of other things in the process," she said. "It isn&apos;t going to take a lot of money," Taylor said. "We don&apos;t have to protect all of Mexico — just 100 to 200 square miles of habitat. We have to deal with the needs of the residents of a relatively small area. At the same time, we have to pay attention to what&apos;s happening in the United States and Canada in terms of habitat for these butterflies. This is manageable."